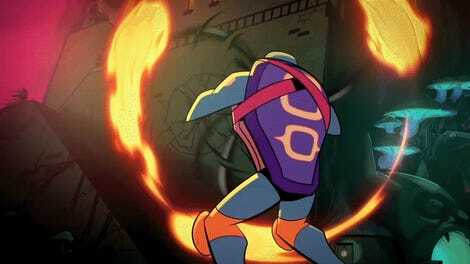 The turtles race into action in Rise’s opening titles. 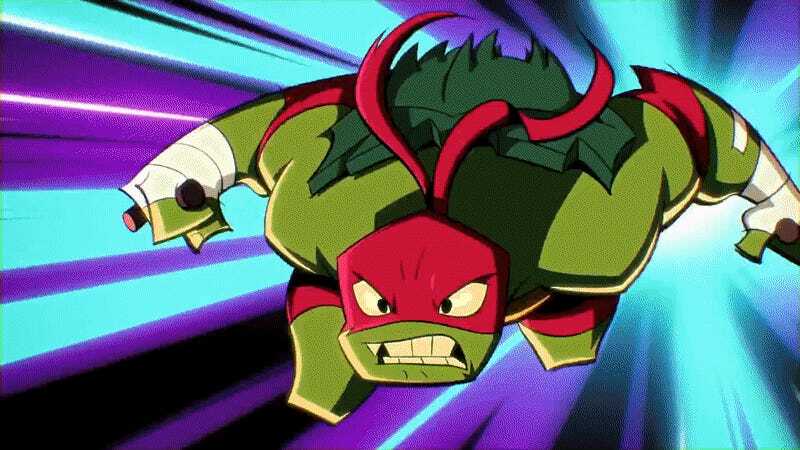 If you’re still off put by the stylistic choices going into the latest iteration of the heroes in a half shell, the fact that the beloved theme song of the classic cartoon is getting a fast-paced modern remix for the new show is probably not going to assuage your concerns. But the more snippets we see of this show in action, the more we’re intrigued. Nickelodeon revealed the show’s opening titles on social media today, giving us our first taste of the new theme—well, new twist on the old theme, really—but also a little more of the Turtles in action. And really, that’s what led to the designs growing on me when the first trailer for Rise dropped a few months ago: In action, these turtles have got some seriously cool swagger. It remains to be seen if the less action-packed scenes are still as stilted as they were in the first trailer, compared to the action seen in the opening. But still—it’s different, sure, but Rise has got a really fun and kinetic sense of style.